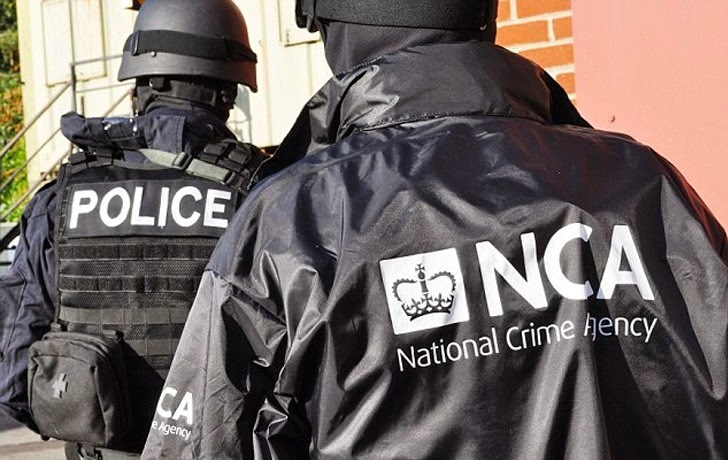 The raids conducted by NCA were coordinated by its National Cyber Crime Unit (NCCU), special officers Metropolitan Police and Regional Organised Crime Unit's (ROCUs), associated with local forces around the UK. A 23-year-old man was allegedly responsible for breaching a satellite communications system used by the US Department of Defense. The hacker accessed 'non-confidential contact information' of almost 800 users, including name, title, e-mail addresses and phone numbers and gained control over information from 34,400 devices, including IMEI numbers. Another 21-year-old London man was arrested who is suspected of being an alleged member of the D33ds Company hacking collective, the group that hacked into Yahoo in 2012 and posted as many as 450,000 email addresses and passwords online. An alleged member of the Lizard Squad, the infamous hacking group which claimed the responsibility for taking down the Xbox Live and PlayStation networks over Christmas, was arrested in Leeds, Yorkshire, BBC reports. Lizard Squad member is believed to be 16-year-old teenager who was also behind the attacks on as many as 350 websites, including Lenovo. A 20-year-old man from Hackney, London was arrested on suspicion of committing a £15,000 phishing attack. A 22-year-old was apprehended on suspicion of developing and distributing malware. Many more suspects were arrested among above; you can read the NCA's full list of arrests here. "The 56 arrests around the country this week are a result of the essential partnership activity with law enforcement, industry and government that is at the heart of fighting cybercrime," said Andy Archibald, Deputy Director of the NCA's National Cyber Crime Unit. "Criminals need to realise that committing crime online will not make them anonymous to law enforcement. We are continuously working to track down and apprehend those seeking to utilise computers for criminal ends, and to disrupt the technical networks and infrastructures supporting international cyber crime." This is't first time when law-enforcement agencies have conducted such massive raids in cyber crimes cases. Last year, the Federal Bureau of Investigation (FBI) also conducted a massive raids in Europe and Australia, and arrested more than 100 customers of Blackshades Remote Administration Tool (RAT) malware. Blackshades and other malware like it allows hackers to remotely control victims' computers, turning on webcams, stealing usernames and passwords for email and Web services, personal information, and launching further attacks on other computers, without the knowledge of the computer owner. The malicious program modifies itself in such a way that it evade detection from the computer's antivirus software. Blackshades has been sold via PayPal and underground forums since at least 2010, which cost as little as $40. However, the recent raids carried out by NCA didn't just target hackers behind well-known attacks or specific cyber crime. Instead it has arrested hackers behind phishing attacks, malware, and also companies that offered web hosting to known criminals. 'Strike week' also suggests that the agencies was monitoring each and every activity of cyber crimes as well as hackers and collecting strong evidences against them. Using that information, the officials raided and arrested a long list of cyber criminals.